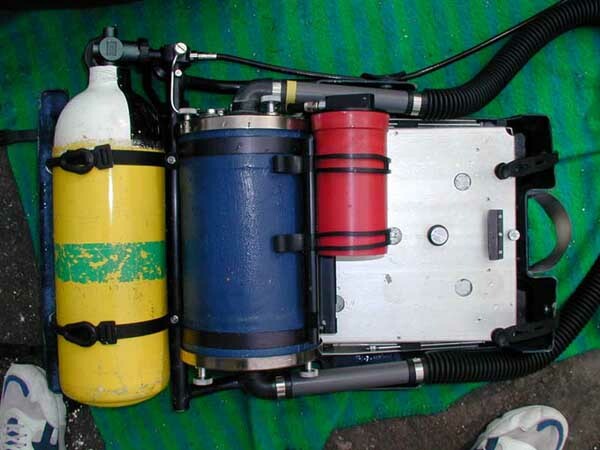 The Interspiro Demand Controlled Semi Closed Rebreather, DCSC, is a demand controlled semi closed rebreather intended for mine clearance use. 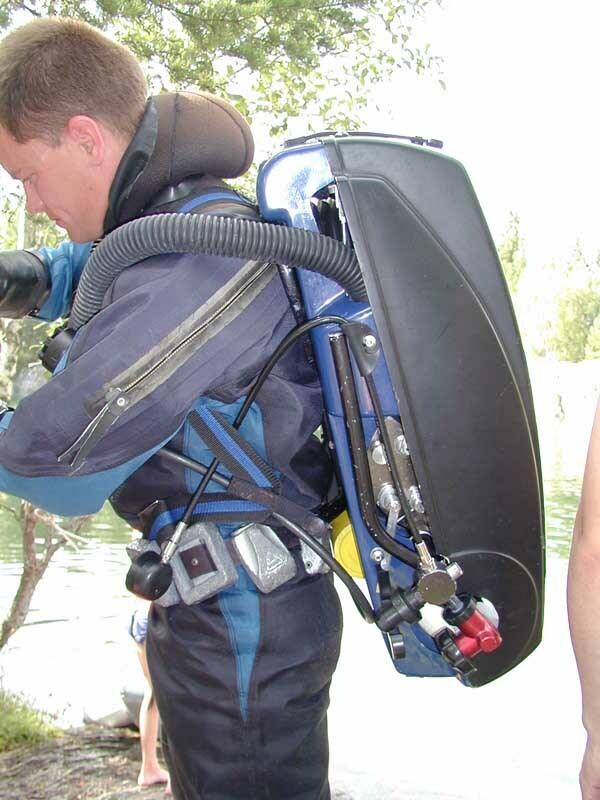 The unit measures the divers' breathing and adds fresh gas in proportion to that. 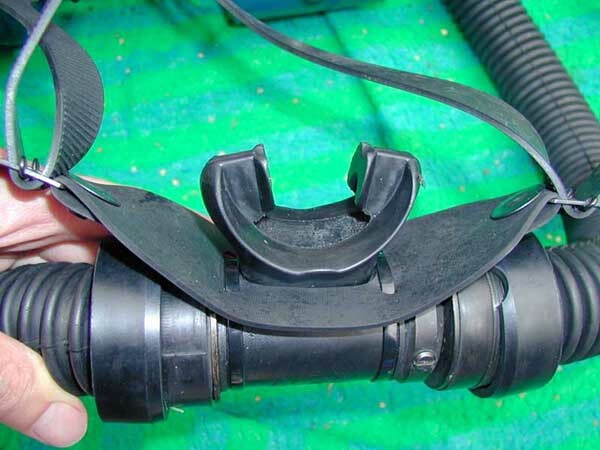 The breathing bellow is back mounted but counterweight balanced thus compensating for the hydrostatic imbalance. Note that the DCSC on the pictures is NOT stolen, it is the one and only existing civilian unit! The Interspiro DCSC as seen from the right. Above the weight belt you see the (red) release knob used to separate the RB unit and the backpack/ harness. Below that you find the tank valve for the suit supply (1L 200 bar). 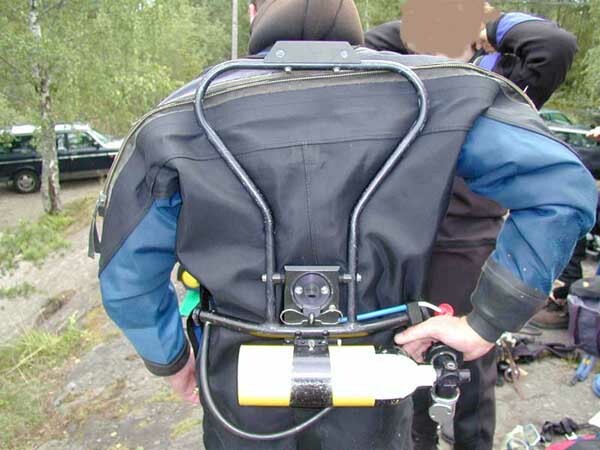 On newer units there is a second 1L 200 bar air tank to supply the life vest that is integrated in the backpack / harness. 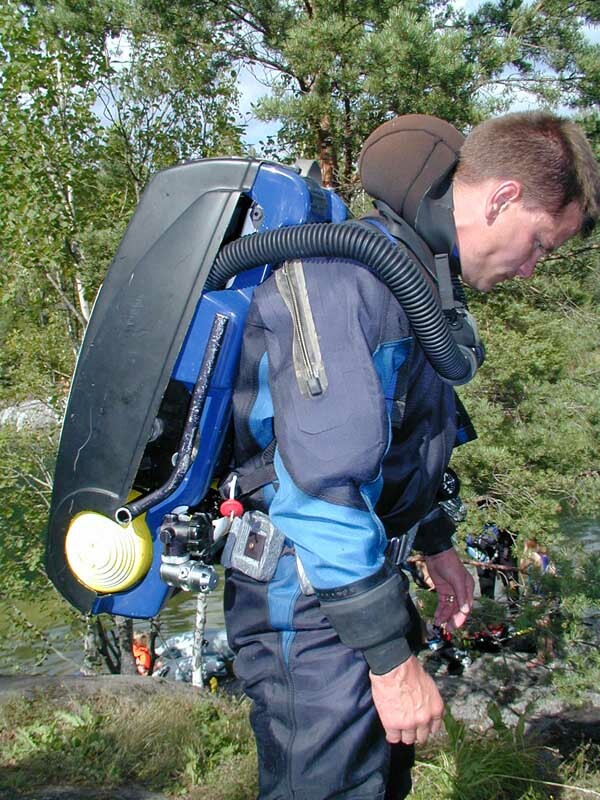 Buoyancy is controlled entirely with the suit and the vest is for emergency use only. The Interspiro DCSC as seen from the left. Above the weight belt you see the pressure gauge. low on the unit you see a reserve valve**, the bypass activator, and the tank valve. It looks messy but is easily accessible also with cold stiff hands. The backpack / harness with suit supply tank. Above the right hand you see the RB unit release knob. 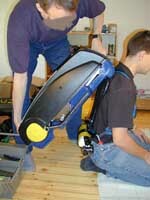 The unit is hooked onto a tongue in the backpack harness. 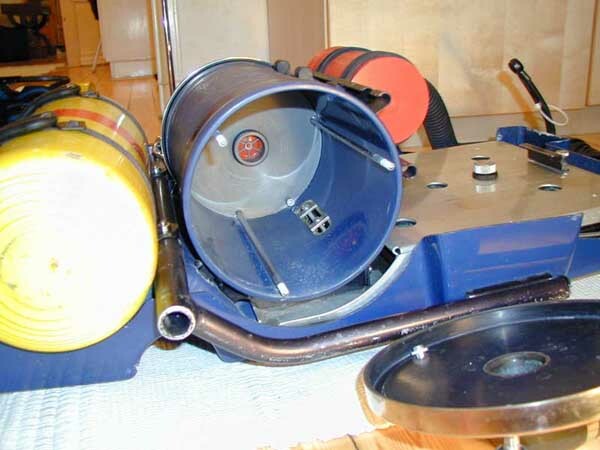 It can hinge and locks then into the circular mechanism seen just above the tank in the picture above. DCSC without the cover. On the inside of the cover you find a complete pre-use checklist. Inside the bellows there is a dump valve that opens primarily when the bellows reaches a high position but also has a seconday over pressure release function. 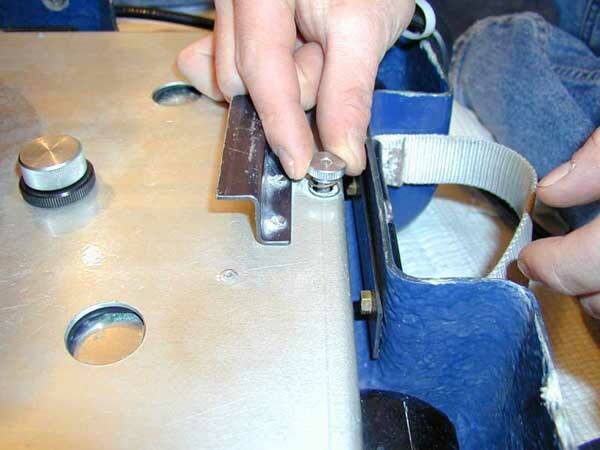 The bellows is locked down in the empty position when not in use. This holds the rather heavy bellows still during transport. Looking into the canister housing. To the right the gas flow path into the bellows is seen. If water would happen to enter the unit, it is purged by slowly leaning heads down. The water will then flow into the bellows where it is expelled through the dump valve (which is mounted in the bottom of the bellows). Interspiro DSV. You rotate it to close, needs two hands but works fins. The DSV is completely closed when closed, both to the RB and to ambient thus making it slightly less simple to purge than SIVA / Draeger DSV's. You usually drink the last water. DCSC from below without the backpack/harness. On the round plate the silencer/bubble diffuser is mounted when needed. 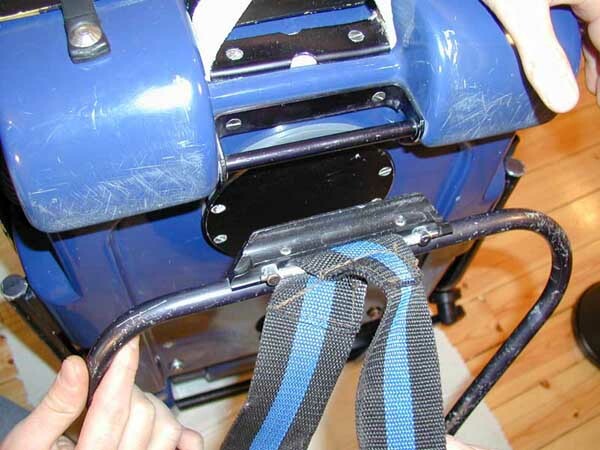 Below that the backpack/harness locking device. 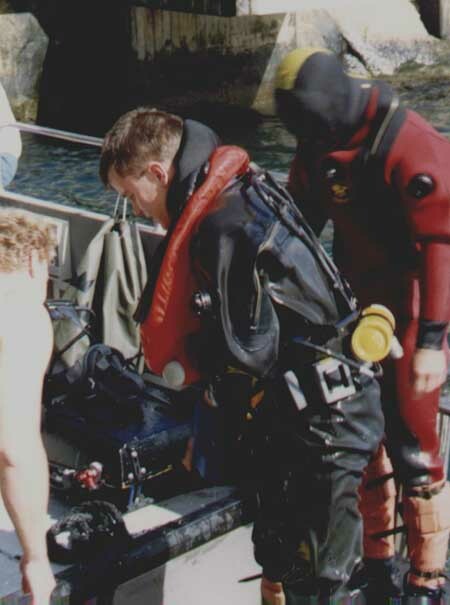 When it is time to go to work, the diver dresses completely including the backpack/harness with suit supply and vest. 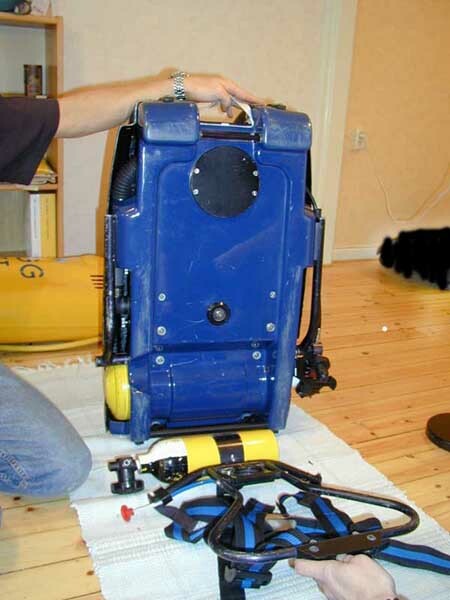 After pre-dive checks the breathing hoses, pressure gauge, and DSV (or full face mask, which is more common) are stored inside the cover. 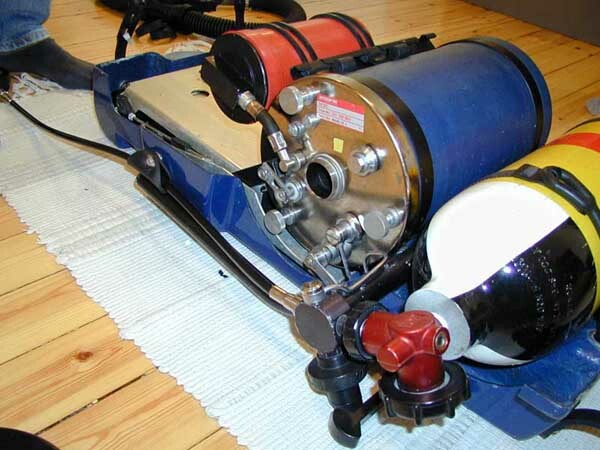 The unit then looks like a box which you use to sit on when you go to the dive site in a small RIB in large waves. No risk of breaking anything! 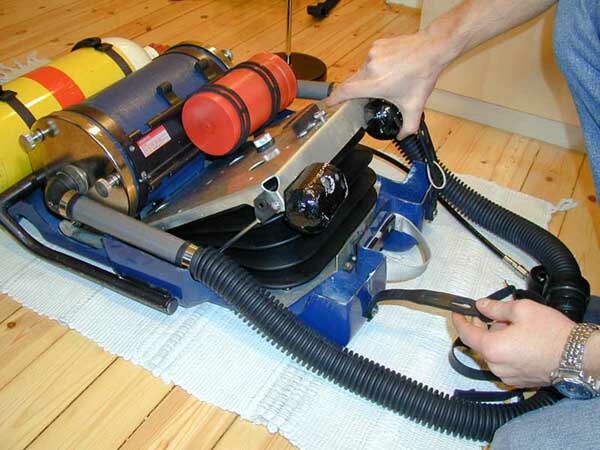 When it is time, you open the cover, pull out the hoses and pressure gauge and go! When you come back to the boat, someone grabs the unit, you release it (from the backpack) and then you can easily get back aboard also when the weather is rough, still keeping suit supply, emergency vest etc with you..